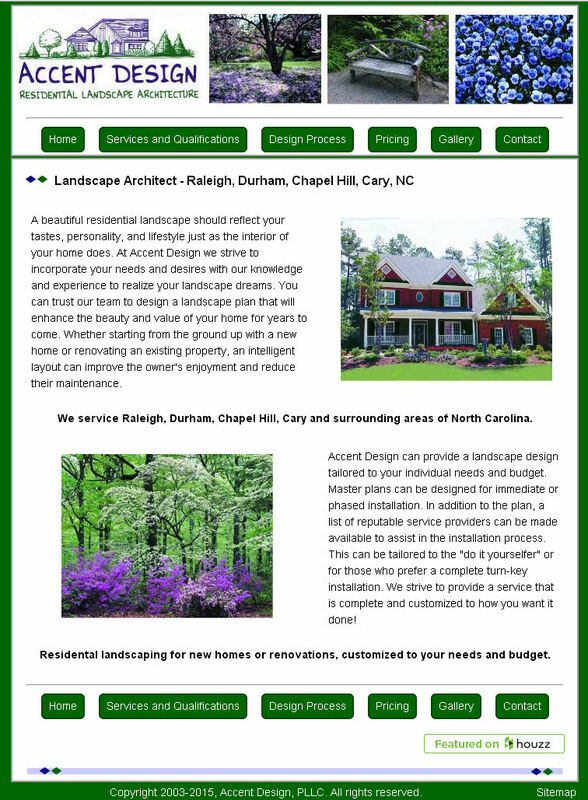 This landscape architect's site provides a simple web presence, yet offers a mobile-friendly interface, a slideshow of past projects, and an AJAX-enabled contact form. 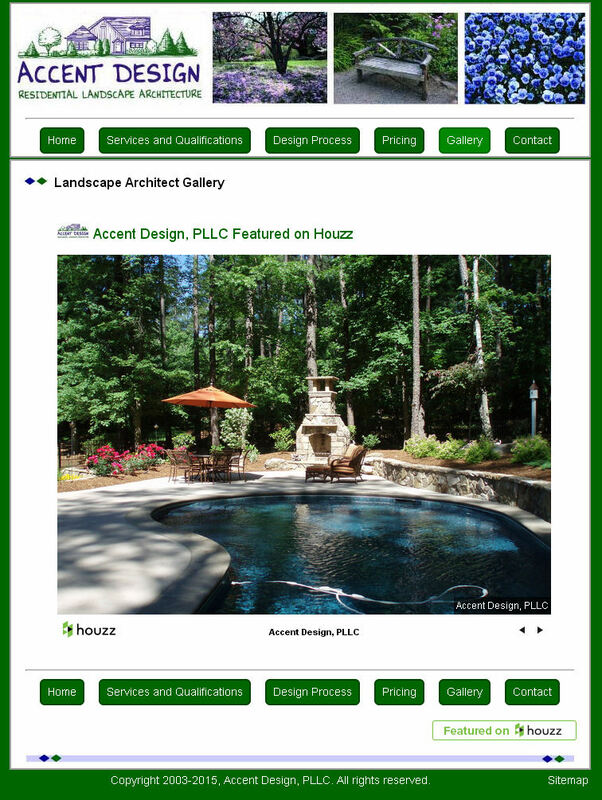 Slideshow integrates tool froum Houzz. Custom contact form uses AJAX and PHPMailer, displays Google map. Mobile detection and automatic size adjustment.